At the department of energy and technology, research and education are conducted focusing on how agriculture can contribute to a sustainable society. We have extensive expertise in technology and systems for sustainable production of food and bioenergy, including optimal nutrition circuits and logistics systems. Within the field of methodology we have extensive competence in System Analysis including Environmental Systems Analysis and LCA, as well as Biometrics (statistics and mathematics with applications in biological systems) and Automation. 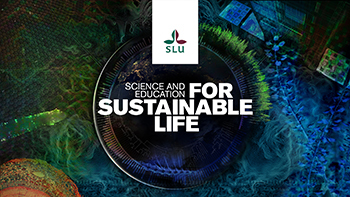 09 April 2019 Apply to the course: Sustainable technologies for agriculture in low and medium income countries, 7.5 credits Application code = SLU-20097; Course code = TN0342. Deadline for the application: April 15, 2019.